Millenium (2010) is a Swedish television series based on the bestselling Millenium trilogy by Stieg Larson (The Girl with the Dragon Tattoo, The Girl Who Played with Fire, and The Girl Who Kicked The Hornet's Nest). It stars Noomi Rapace as Lisbeth Salandar. It is currently available online via SBS On Demand, and on DVD. Have you seen the series, and if so, what do you think of it? 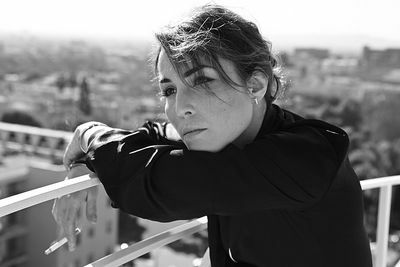 Noomi Rapace. Image provided by Eric Broms via Wikipedia under a Creative Commons Attribution-Share Alike 4.0 International License. No, I have not seen this series - i know those books as work as a volunteer in an op shop and we get so many copies of them that I no longer keep them for our shop. Not yet, but I'm on a bit of a Scandinavian crime drama kick so I probably will. No, I have never seen this.